Dr. Brian Mealey is a Professor and Graduate Program Director in the Department of Periodontics at the University of Texas Health Science Center at San Antonio. He served 21 years in the United States Air Force, where he was the Chair of the Department of Periodontics at Wilford Hall Medical Center in San Antonio and the Program Director of the Air Force Periodontics Residency. 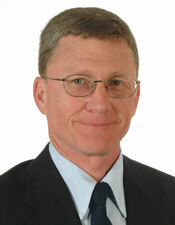 Dr. Mealey is a Director of the American Board of Periodontology. He has published over 80 articles, abstracts and textbook chapters in the scientific literature, with an emphasis on inter-relationships between oral and systemic health. He is co-editor and author of the textbook Periodontics: Medicine, Surgery and Dental Implants, published in 2004, and the textbook Periodontal Medicine, published in 2000.